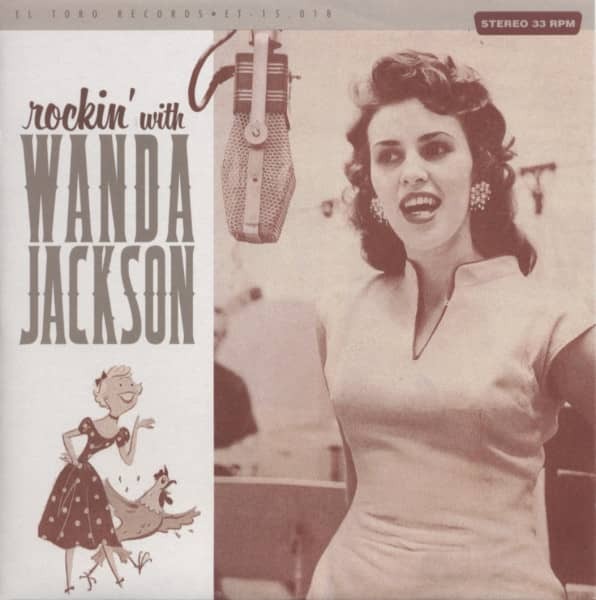 Wanda Jackson Rockin' With Wanda 33rpm, EP, PS, SC - colored wax, ltd.
Wanda Jackson: Rockin' With Wanda 33rpm, EP, PS, SC - colored wax, ltd.
(2012/EL TORO) 6 tracks, colored vinyl , limited edition, small center. Propriétés de l'article: Wanda Jackson: Rockin' With Wanda 33rpm, EP, PS, SC - colored wax, ltd.
Titre de l'album: Rockin' With Wanda 33rpm, EP, PS, SC - colored wax, ltd.
Geboren am 20. 10. 1937 als Wanda Jean Goodman in Maud, U5-Staat Oklahoma. Arbeitete ab 1952 für den Sender KLPR in Oklahoma City. 1954 erhielt Wanda Jackson, auf Empfehlung des Country-Sängers Hank Thompson, einen Plattenvertrag bei Decca. Zwei Jahre später traf sie Elvis Presley, der ihr einen stilistischen Wechsel vom Country & Western zum Rock'n'Roll empfahl. Ab 1956 nahm Wanda Jackson für das Capitol-Label auf und brachte in den folgenden Jahren rund 30 Titel in die C&W- Charts der USA. In den Pop-Hitlisten war sie dagegen lediglich fünfmal vertreten, darunter 1960 mit 'Let's Have A Party' (Platz 37). In den Kölner Electrola-Studios im Maarweg spielte Wanda Jackson zwischen 1965 und 1970 neun deutschsprachige Singles ein- vier schafften den Sprung in die Charts, am besten platzierte sich “Santo Domingo' (1965, Rang 5). Während der 70er Jahre widmete sich die Amerikanerin auch christlicher Musik. Heute ist Wanda Jackson vereinzelt bei Revival-Tours zu hören, kommt aber zu gefeierten Kurzgastspielen in eigener Sache über den Teich - wie im Herbst 2002, als sie ihren 65. Geburtstag in Deutschland feierte. Although Wanda Jackson was a star in Germany with songs she'd learned phonetically and didn't understand, she was nearly invisible at home, singing songs she understood all too well. Most of her showdates were in Reno and Vegas lounges, together with some seasonal fair dates. Once or twice a year, she'd go to Nashville to meet her A&R man, Ken Nelson. She had been under contract to Capitol since 1956, but she'd placed just two records in the Country Top 10 and three in the pop Top 40. Pressure from Capitol's European parent might have been the only reason she was still on the label. Tears Will Be The Chaser For Your Wine was recorded in April 1966, and released at year's end. It featured both steel guitar and Dobro. Two steel guitarists, Lloyd Green and Weldon Myrick, were listed on the session, so Myrick probably played the Dobro. Tears Will Be the Chaser was a song Wanda had found back home in Oklahoma. 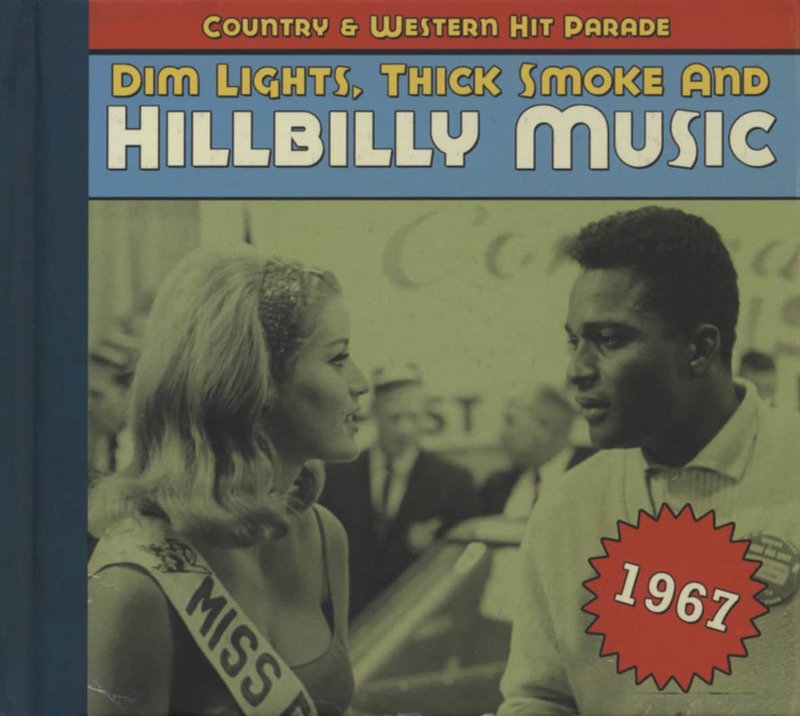 The cowriter, Dale Davis (aka Dale Siegenthaler), had kicked around the music scene since the late 1950s, briefly owning and recording for Stardale Records, a label that once had rockabilly freaks digging deep in their pockets. (Stardale was one of those labels that assigned different catalog numbers to the A & B sides of its records, just to ensure no one ordered them). Later, Davis wrote Marvin Rainwater's late-blooming Scandinavian hit, Henryetta Oklahoma. No one could handle these heartbreak songs better than Wanda. Her wounded small-town-girl innocence, offset by an ever-so-slightly sluttish voice, was a beguiling combo that should have made her a bigger star. As she saw Tammy Wynette rising fast, Wanda could have been excused for thinking it should have been her. Évaluations de clients pour "Rockin' With Wanda 33rpm, EP, PS, SC - colored wax, ltd."